Desc: Sterling Silver glasses holding brooch. The horse is at the top and is trotting. The pinstem is behind the horse's body. 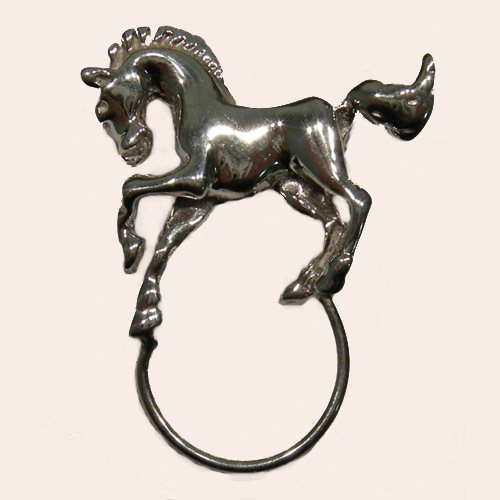 The circle to hold the glasses is below the horse's body. The whole brooch has a bright polish finish.